Create a new character and quickly level them up using a Power Boost in Destiny 2: Forsaken. In Destiny 2: Forsaken, all players are given a Power Boost, and many have been wondering how to use this item. The main purpose of the Power Boost is to bring a new character up in Power Level. For example, if you want to create another character in Destiny 2: Forsaken, the Power Boost can be used to quickly level them up and make them viable. To simplify everything, we’ve put together a quick guide on how to use a Power Boost in Destiny 2: Forsaken. A Power Boost can be used in Destiny 2: Forsaken to level up a new character without having to grind. To use a Power Boost in Destiny 2: Forsaken, you’ll need a newly created character on hand. By using the Power Boost, you can increase the level of your new character from Power Level 1 to Power Level 100. To use the Power Boost on a character in Destiny 2: Forsaken, you’ll want to open up Destiny 2: Forsaken and begin creating a new character. Create whichever character you like, then on the character select screen an icon will appear next to the character. If you click this icon, you'll be able to apply your Power Boost and level them up. Once they're leveled, you can either begin playing with that new character, or use your old character and pick up where you left off. Note that your Power Boost can only be used to increase the Power Level of a new character. With this in mind, we highly recommend creating a secondary character and using your Power Boost to level them up quickly in Destiny 2: Forsaken rather than letting your Power Boost go to waste. In a nutshell, Power Boosts are a great way to establish a secondary character without having to grind their Power Level. 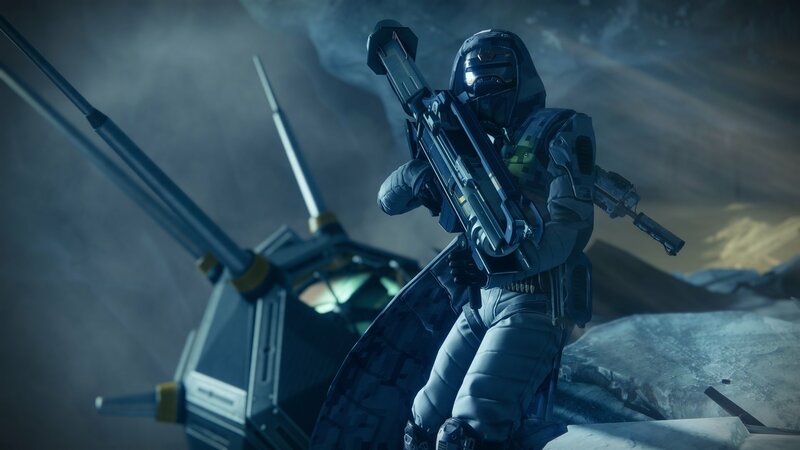 For more on Destiny 2: Forsaken, be sure to check out some of our previous guides including all Ascendant Chest locations in Destiny 2: Forsaken, how to get Luna’s Howl in Destiny 2: Forsaken, and how to get the Ace of Spades in Destiny 2: Forsaken. By reading through this guide, you should now know what to do with a Power Boost in Destiny 2: Forsaken.